OK, it’s time to remove those passwords from under your keyboard or off of your refrigerator. Also, stop using the same password for different online services! Below is an outline of one very simple method that can help you reach these two very important security goals. 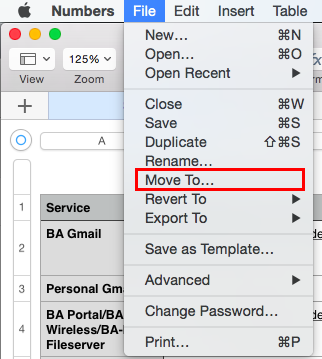 A quick overview of option 1: Create a document on your computer with all of your usernames and passwords AND secure that document with a password AND save that document in a secure cloud location so you can get to it from your iPhone or another computer. 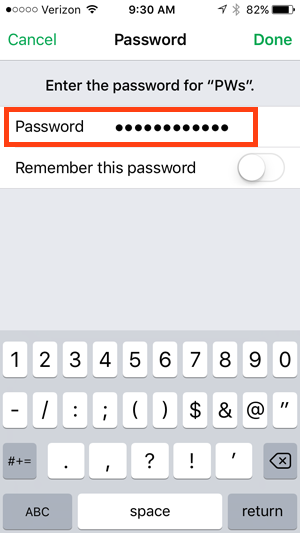 Stay tuned for an upcoming blog post on option 2, which will involve the purchase and use of a password manager application called 1Password. The following documentation assumes you have a Macintosh with Apple’s Numbers and an iPhone – both that are synced through iCloud. 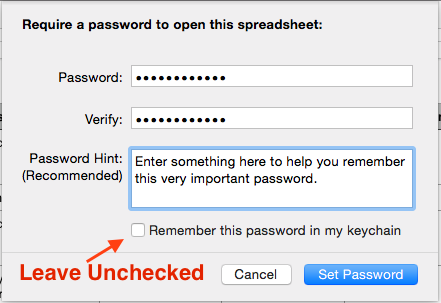 If you like this idea of managing your passwords, but are overwhelmed by the prospects of doing this yourself, please come down to the Tech Office and we will help walk you through it. Select the “New Document” button and click “Blank” Document and finally, click the Choose button to open a new document. 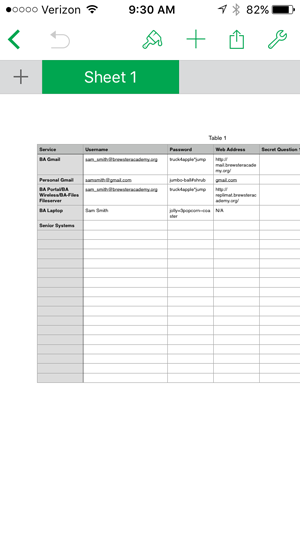 Enter your credential information similar to what is shown in the image below. Take this opportunity to update your passwords to more secure passphrases as shown below AND DO NOT use the same password for different services! 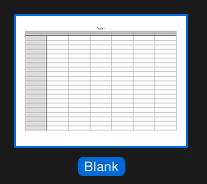 If you are not familiar with spreadsheets, you can resize the column widths by clicking on the lines between the letters at the top of the columns and dragging right or left. Make sure to save the document regularly as you populate your information. This is a very, very important password to remember because if you forget it, you will loose access to all of your passwords, so choose this one carefully and commit it to memory! 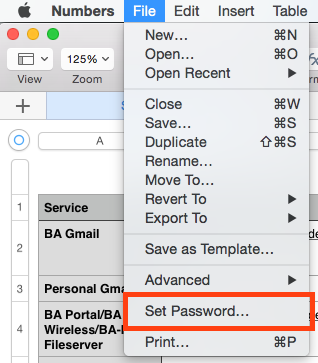 Once your devices are set up to sync to iCloud, follow these steps to save your Password file to iCloud. 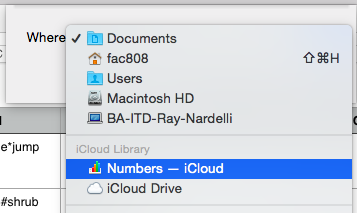 In the Finder, you will now see iCloud in the left column and you should see your Password file listed in the Numbers folder. 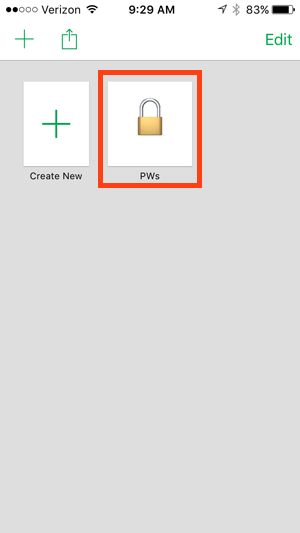 When it is time to enter your username and pw into an online website,navigate to your file as shown in the image above and open your PW document. Navigate to your file as shown in the image above and open your PW document. 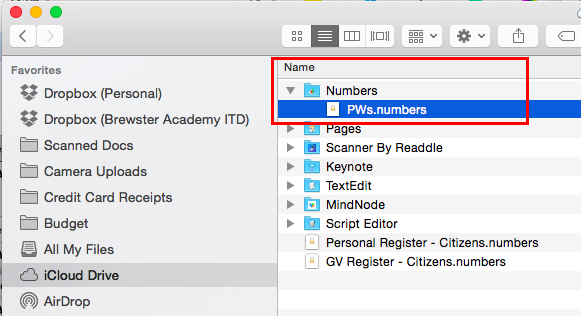 Copy your credentials from the numbers pw document and then paste them into the website fields, using the Copy/Paste functions from the menu or using command-C to copy and command-z to paste. For protection, be sure to close your PW document when not in use!!! 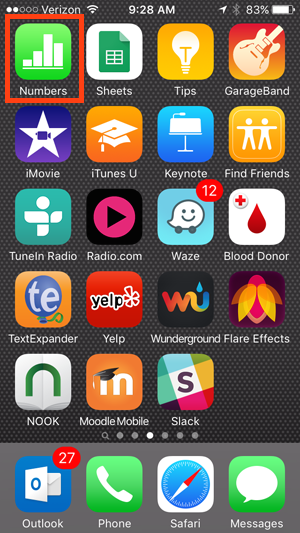 The Numbers app is free to install on your iPhone. If you don’t already have it installed, go to the App store on your phone and download Numbers. Tap on the Numbers app to open. Tap on your PW document to open it. Enter your password to open your PW document. You should now see all of your usernames and passwords.